Belgian police have arrested 13 people in a dozen raids across the country, saying the suspects are believed to have been members of an Islamic group planning attacks on police officers. 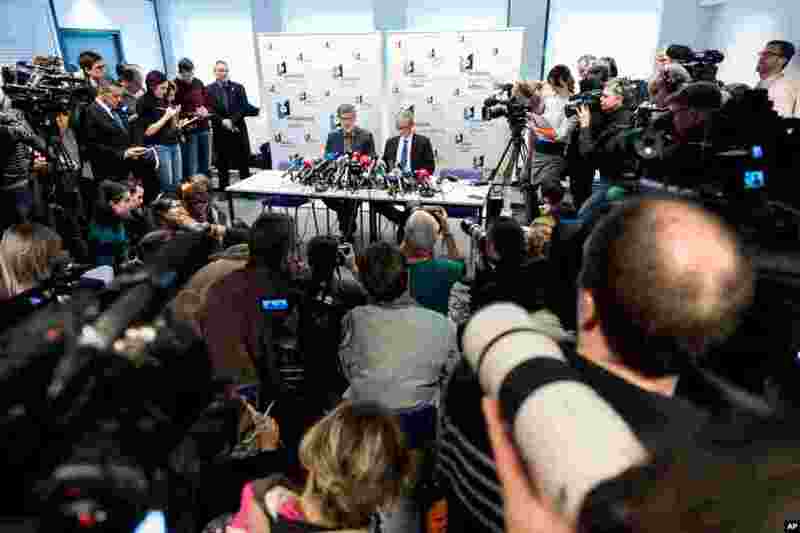 1 Belgian federal magistrates Eric Van Der Sypt (left) and Thierry Werts address the media on the anti-terror raids in several Belgian cities, at the Belgian Federal Prosecutor's office in Brussels, Belgium, Jan. 16, 2015. 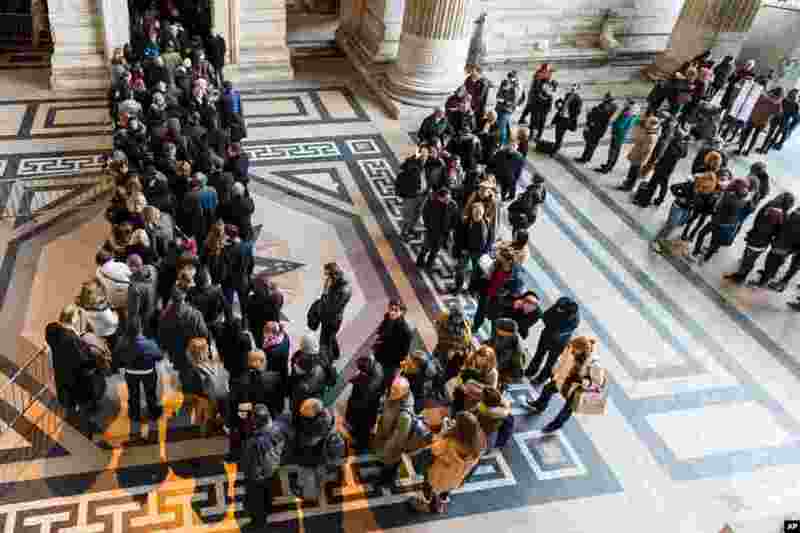 2 People queue as police establish a checkpoint for anyone entering the Palace of Justice in Brussels, Belgium, Jan. 16, 2015. 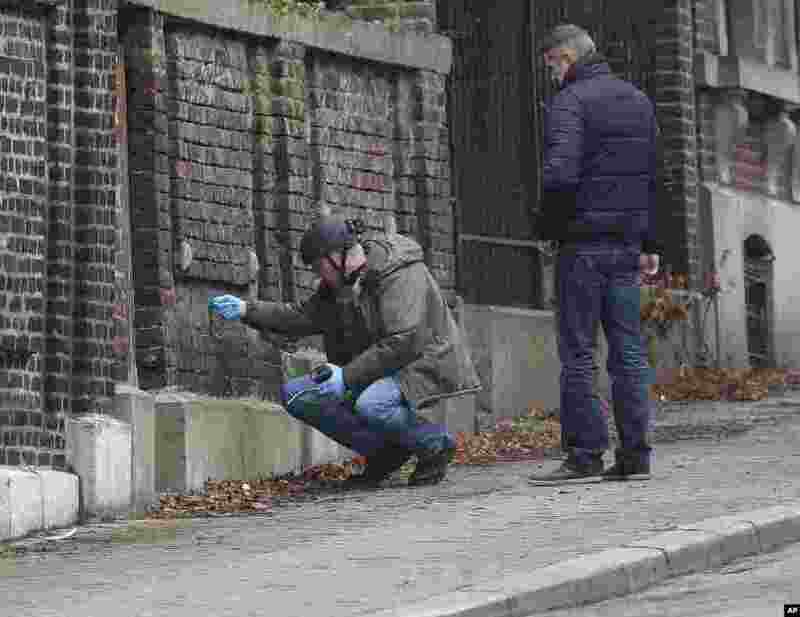 3 Belgian police officers examine a wall in a street in Verviers. The street was blocked after security forces conducted anti-terrorist raids in Verviers, Belgium, Jan. 16, 2015. 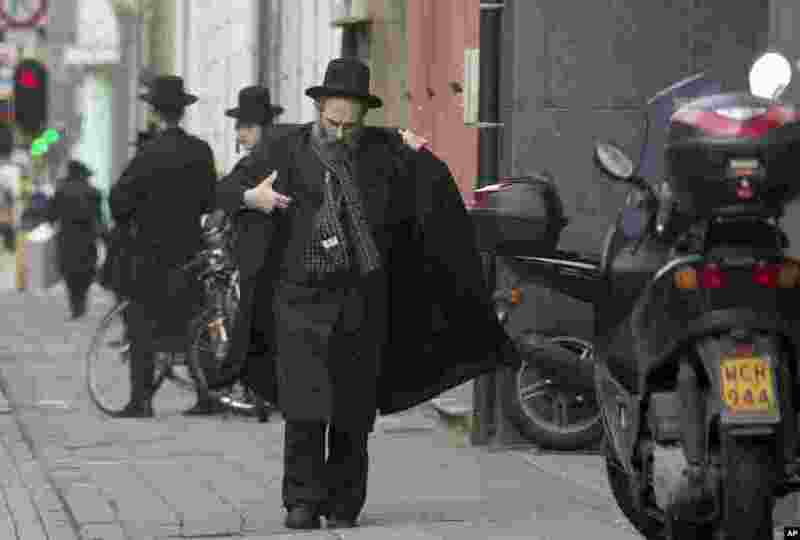 4 Security has been enhanced around public buildings and Jewish schools were closed for the day on Friday, Jan. 16, 2015.